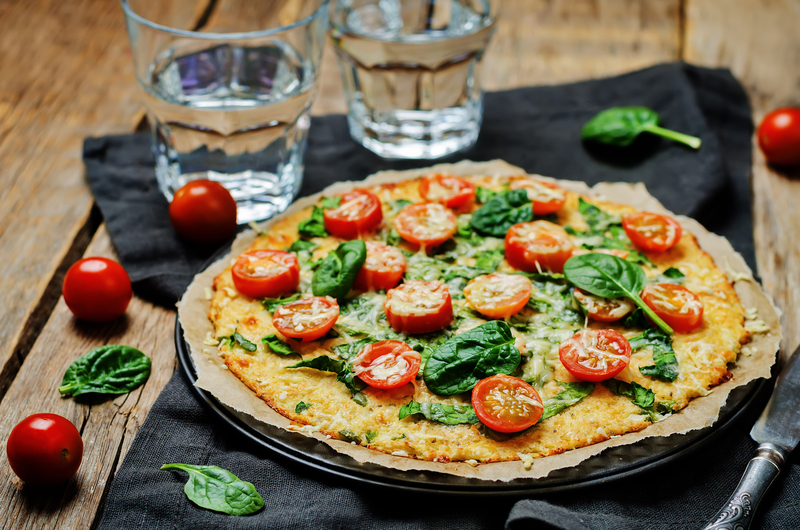 Cauliflower pizza crust with tomato and spinach. If you follow Meatless Mondays, this cauliflower crust pizza will seem quite decadent and delightful this evening. Watch how Ree makes a simple recipe for a Margherita style pizza with cheese, tomato sauce and fresh basil. If you’re not following Meatless Mondays, use some leftover turkey sausage from when you made the spaghetti squash lasagna. Every cauliflower or potato crust recipe I’ve read has one thing in common. You need to get all the water out of it. I usually round end this by buying the Trader Joe’s version that’s in the refrigerated case, not the freezer case. It’s naturally dried out a bit. I don’t have a food processor. If I make some money from this blog, then I’ll be able to buy one and try it out. Until then, I just cut by hand or buy the prepared stuff. This is already a low carb dish. If you wanted to make it Paleo, then you could buy a vegan cheese or make your own out of nuts. The cashew cheese is surprisingly good. Now, there are some who feel that unless you’re lactose or casein intolerant, cheese is just fine. The best cheese is from raw milk, but full fat is fine as well. Cheese is good for you because it’s fermented. So you may want to add in a salad for more veggies and a different texture. 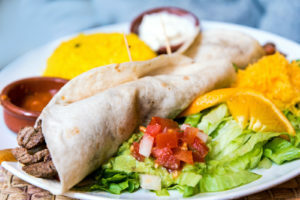 Stop Throwing Your Money Away On Fast Food – Simple Cooking Tips Anyone Can Use!